The Mackinac Island State Park Commission accessioned over 120 gifts and 67 purchases to the state park historic object and archival collections in 2014. The items represent a board spectrum of Straits of Mackinac history covering topics such as shipwrecks, the Mackinac Island Scout Service Camp and businesses in Mackinaw City and Mackinac Island. So, what’s the island like in the winter? A question asked by multiple generations of Mackinac Island summer visitors who conjure visions of bell-strewn, horse-drawn sleighs, pristine snow frosting bushy pine trees, and island streets filled with peaceful solitude rather than boisterous masses. While modern transportation has made an island winter visit somewhat more doable in recent decades, the “Winter Frolic” of 1940 provided an opportunity to see “Mackinac covered with snow” 75 years ago this month. Mt. Humbard offered a fantastic view of the Straits of Mackinac. A lavish plantation house in Nashville, Tennessee and the Wood Quarters at Fort Mackinac may not seem to have much in common at first glance, but they both served as homes for the same man, William G. Harding. 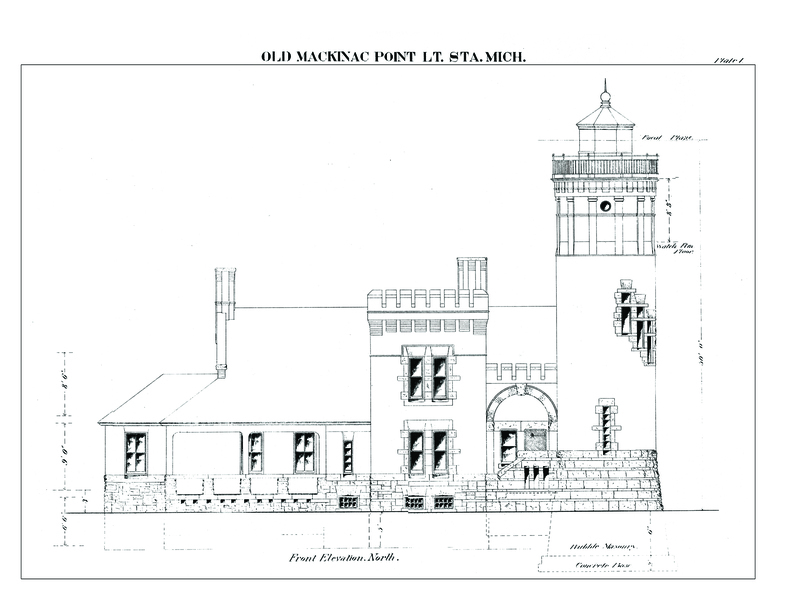 Mackinac State Historic Parks Registrar Brian Jaeschke recently acquired copies of several historic photographs of the 1860 Post Hospital at Fort Mackinac. The photographs were discovered in the digital collection of the U.S. National Library of Medicine in Bethesda, Maryland which has 150,000 historical prints and photographs. It’s fascinating that after fifty years of actively collecting materials related to Fort Mackinac history, we still discover new treasures. Our most recent “discovery” is two portraits of Colonel George Mercer Brooke who commanded the fort in 1832. While conducting research for a future publication tentatively entitled “Soldiers of Fort Mackinac: A Pictorial History”, Director for Mackinac State Historic Parks Phil Porter made contact with Colonel Mercer’s great, great grandson George Mercer Brooke, III, through Ancestry.com. Brooke, a retired United States Marine colonel, shared with me a photograph of a portrait of his ancestor painted c. 1819 in Boston. While the portrait is not signed, family tradition holds that it was painted by Gilbert Stuart, the famous early American portraitist. Mr. Brooke’s cousin, Theodore Brooke, provided an additional portrait of the fort commander painted c. 1825. Grand: Several men and their dogs gather on the government pasture below Fort Mackinac. These soldiers are likely from the 23rd Infantry or belong to the Michigan state troops, who gathered on Mackinac Island for summer encampments in the late 1880s. 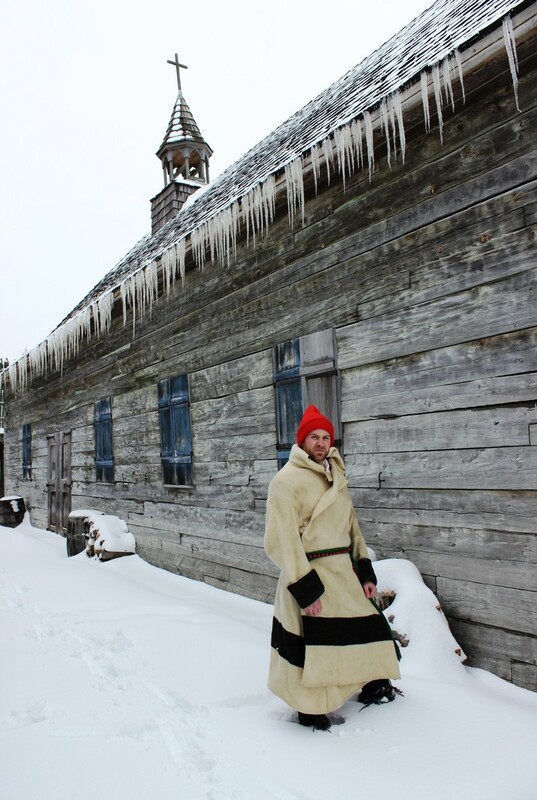 French-Canadians adapted to the harsh climate of their new home with a variety of clothing, including coats called capots. Made from trade blankets, these simple coats were warm and practical, and proved popular with Canadians and Native Americans alike. In warmer months, French voyageurs wore moccasins and breechcloths. The easily-removable leggings allowed them to jump in and out of the water as they hauled cargo around portages. Elaborately-woven sashes served as weight belts, protecting the men’s backs from injury as they carried loads over 100 pounds. Other pieces of clothing were unique to French-Canadians. British trader Alexander Henry left a good account of the Canadian disguise he wore during his first secret journey to Michilimackinac in 1761: “I laid aside my English clothes, and covered myself only with a cloth, passed about the middle; a shirt, hanging loose; a molleton, or blanket coat; and a large, red, milled worsted cap.” The red cap (or tocque), blanket coat, breechcloth, and leggings were something of a uniform for French-Canadian men of the fur trade, and would have been seen regularly at Michilimackinac.